Cassette tape sales have doubled in the UK (but there's a catch) | What Hi-Fi? Is cassette about to do a vinyl? Cassette tapes are having a mini-resurgence. Sales in the UK in 2017 more than doubled, and 2018 sales are currently running at 90% up year on year, reports Official Charts. Why? Who knows. Certainly a lot of artists are putting almost as much thought into their cassette releases as they are their vinyl releases. 2018's best-selling tape so far is Kylie Minogue's latest album, Golden, which came with a collectable, glitter-gold clear tape, while AC/DC's Record Store Day special release of Back in Black also makes it into the top 20. 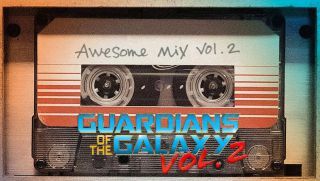 Second on the 2018 top-sellers list is the Guardians of the Galaxy soundtrack, Awesome Mix 2 (with Awesome Mix 1 still at number 7), while albums from Snow Patrol, 30 Seconds to Mars and Manic Street Preachers also feature in the top 5. But there is something of a catch. While the jump in sales sounds impressive, the numbers being sold remain relatively low. In 2017, the total volume of cassette tapes sold in the UK was 22,011. That compares to 10,912 in 2016 and 5,801 in 2015.